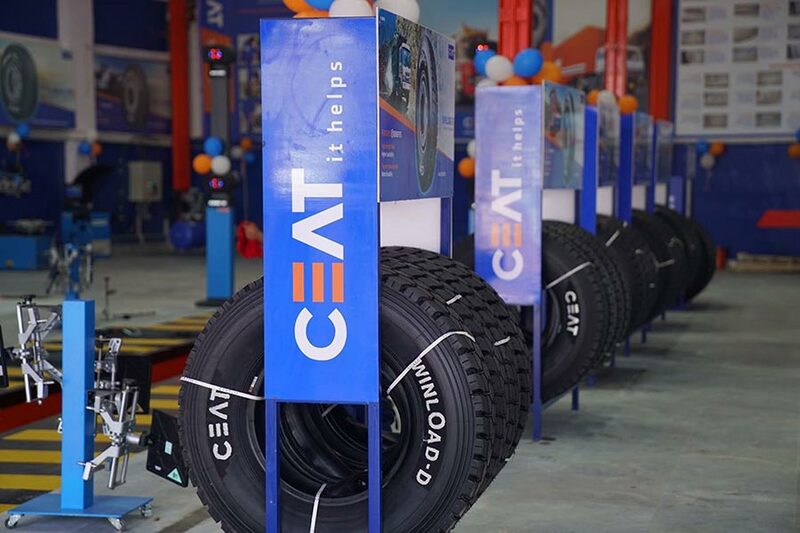 CEAT Limited, a leading Indian tyre manufacturer has launched the company’s first Truck Service Hub (TSH) in Kolkata. CEAT Truck Service Hub (TSH) serves as a one-stop destination for all the truck owners to provide exclusive services related to wheel alignment, balancing, tyre health inspection along with the sale of CEAT Truck and Bus tyres. The new Truck Service Hub is a state of art facility which has a tyre display area interspersed with customer seating areas and a huge space for multiple trucks to be serviced simultaneously. The Truck Service Hub enables regular tyre check-up which is of paramount importance as irregular wheel alignment or balancing could lead to an uneven tyre wear and also diminishes the life of the tyre. With the services provided at Truck Service Hub (TSH), CEAT aims at ensuring the safety of the truck owners on the lengthy and tiresome highway journeys. With this initiative, we hope to equip the truck owners with the best servicing needs and the sale of tyres, all under one roof. We have commenced our first Truck Service Hub with state of art facilities in Kolkata. Going forward, we will be expanding our network to various regions all over India, thereby enhancing the service experience to various truck owners across the country.